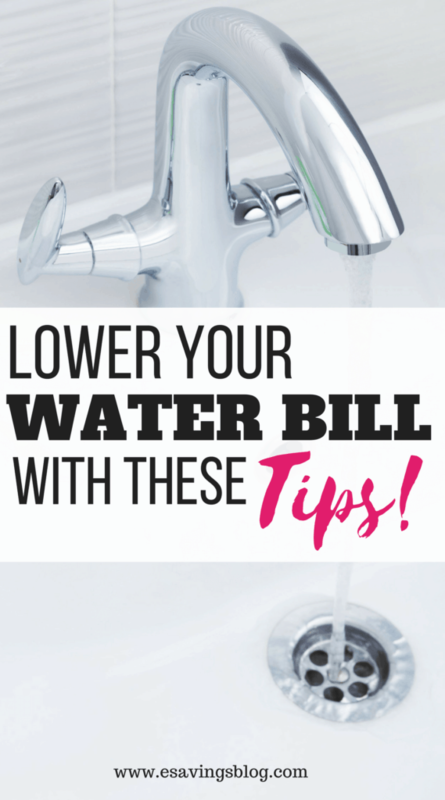 Has your water bill tripled in one month? After opening your water bill you notice your water meter reading is very high compared to previous months leading to a very high water bill. You think to yourself, why is my water bill so high? You start telling everyone in the house to stop wasting water or worst think maybe water is leaking out your house or the water company is somehow ripping you off because the bill is so ridiculous. So what do you do now to lower your water bill? How do you find out what is causing the water bill to be so high? Are you actually using that much water? Before you start yelling at everyone in the house, timing showers and investigating the water company, you will want to make sure you don’t have a bigger issue. I’ve heard horror stories of people getting stuck with a $2000 water bill and you don’t want to be one of them! I started really diving into this topic when 6 months ago I received my quarterly water bill and it was an outrageous $366! That is triple what I normally pay, it showed I was using 6000 gallons of water. After looking at my usage for the past 4 billing cycles I noticed my usage tripled. That didn’t add up to me because we have been in our home for over 12 years and have never used that many gallons. Looking at the past 4 cycles I noticed whatever issue I was having started a few cycles ago and was progressing. I went from using just 1300 gallons of water to now 6000! We immediately thought maybe it was the toilet because it seemed to be running a little longer than normal. After doing some research and calling my water company we were able to determine that the toilet was the issue and we needed a new flapper. Simple cheap fix, big expensive lesson! Even if your water bill isn’t high at the moment you will want to learn from my experience before it happens to you. I’ll have some prevention tips below as well. So what is causing your water bill to be so high and how do you test it? First things first and I only learned this after having an issue, learn where your water meter is and how to read it! If you don’t know where your water meter is, call your water company. My meter is in my basement and looks like this one below but with a plastic cover over it. The reading is right on the meter so you will want to verify those numbers against your bills and you can track it throughout the month or quarter. 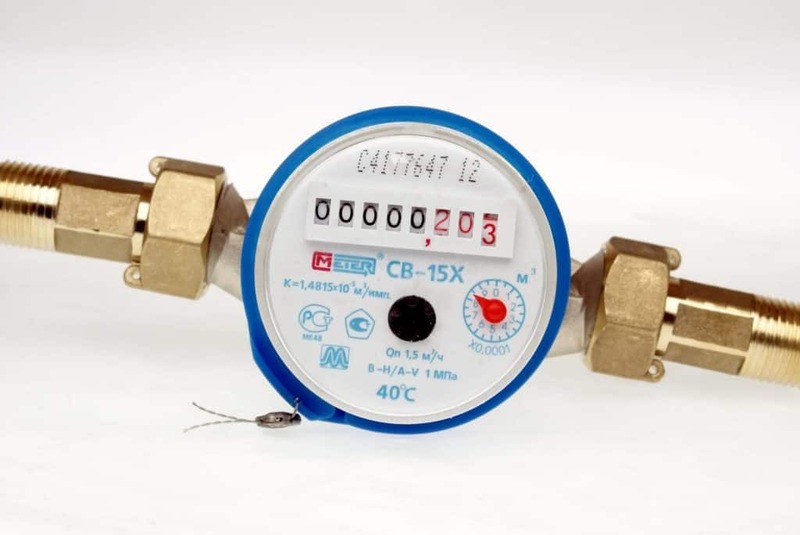 Most meters also have a leak detector dial which looks like a little triangle or diamond shape but you will want to verify on yours. The dial turns when water runs, it will move every few seconds for even a drip. If you are not sure which dial it is because it isn’t moving than have someone flush a toilet or turn on a faucet and you will see it moving. If it continues to move even when no water is on in the house or you haven’t just flushed a toilet than you know there is a leak somewhere. A moving dial signifies water moving through. If the leak dial on your meter keeps turning then you know you have a leak. First, look for obvious leaks anywhere you have water, faucets, pipes, water heater etc. Some leaks are easy to find, such as a dripping faucet or running toilet. The most common cause for a high water bill is running water from your toilet. How much water does a running toilet waste? A lot! A continuously running toilet can waste up to 200 gallons a day. That can double your families typical water use, so fix toilet leaks as soon as possible and I will give you a few tips below. Most likely it will be your toilet’s flapper or fill valve, which are both inexpensive fixes. If the flapper is leaking, it will keep triggering the fill valve to refill the tank. I found this super easy to follow video from Lowes that shows you how to test for leaks. I will also list the steps below. Put a few drops of food coloring in the tank. Let it sit for 25 minutes. If the color leaks into the toilet bowl, then there’s a leak. Before you replace it, first check the flapper to see if sediment or debris has built up around it or if the chain is getting caught. If not, replace it (instructional video below). There are a few other reasons a toilet may run and this super helpful video from Home Repair Tutor on YouTube ( I recommend subscribing to their super helpful channel) goes over them and shows you how to fix them! I love YouTube! If you have a water softener system you will want to check that. After the softener has regenerated, check to see if water is still running down the drain. If it is, the water softener needs to be repaired. Consider turning off and bypassing your softener for now. If you have an irrigation system make sure there are no leaks or broken sprinkler heads. You will also want to make sure they are programmed properly and not watering too often or getting stuck. The best way to prevent getting a high water bill is to be aware of the amount of water you are using. Now that you know where your water meter is, take a look at it once a week and just be aware of the numbers. If all of a sudden your using a ton of water then you know there is an issue and can investigate BEFORE you get a huge bill. Also, remember your water company is there to help you, my water company walked me through finding my meter, reading it, checking the leak detector and going over ideas of why it could be so high. They also offered to come out and check it for me. Questions, comments or stories you want to share? Leave a comment below. Think this article will help someone else? Share it!